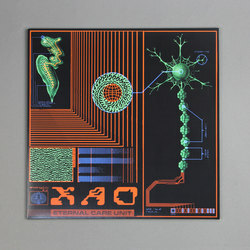 Xao - Eternal Care Unit. Vinyl LP. Bleep. 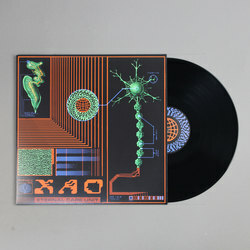 Xao returns to Astral Black (Drae Da Skimask, Jon Phonics) with the follow up to his excellent debut EP Alloys. His first full-length Eternal Care Unit voyages once again into the unique sound world Xao crafted on Alloys. The tracks here frequently offset ethereal, dub-adjacent textures with beats which map out all four corners of the club. Drum programming that draws from jungle, electro, Braindance and trap makes for a highly potent rhythmic attack. 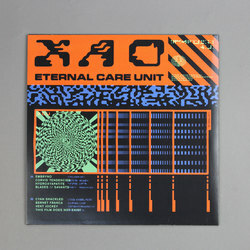 It also means that Eternal Care Unit is difficult to classify - artists like Evian Christ, µ-Ziq and Clouds definitely exert an influence, but really Eternal Care Unit is a record out on its own.